Tips for looking after a turbocharged car seems to more and more sought after these days. That’s hardly a surprise. 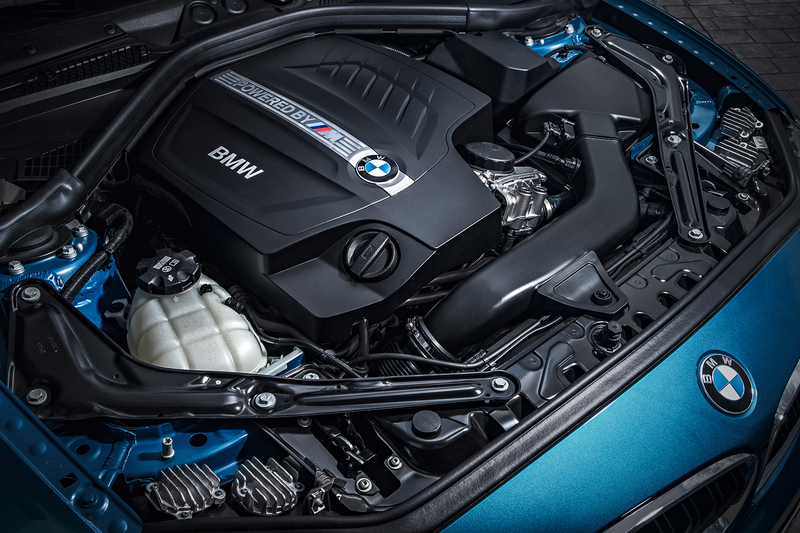 As part of the overall global push for automotive efficiency, turbocharging has become more and more popular and there are many more cars on the road carrying turbos under the bonnet than there used to be. That’s led to a proliferation of blog posts, articles and videos that give advice on how to care for your turbocharged car. This one from Engineering Explained is a good example. It gives five tips for turbocharged car care, from warming up and cooling down your engine before and after you drive, to ensuring you use the correct octane fuel, being careful on the throttle and making sure you select the correct gear. Failure to do so, it warns, can damage your turbo and engine. But the vast majority of people will not be perusing sites such as this, or watching videos on turbo care. So what are manufacturers doing about it? Will failure to follow this advice really cause damage to modern cars, or are all these tips outdated with the rise of modern technology? The general consensus from manufacturers is that modern cars are tested to such extremes that there’s not much you could do to a new turbocharged engine that would cause any problems. For older cars, many of the tips given in the above videos are true, but today, software systems are such that they neutralise any driver input that could start shredding internals under the bonnet. Such guidelines generally be summed up as “look after your car properly”. Although technology has come a long way, cars are still complicated bits of machinery with complex mechanical components, and they need regular maintenance and TLC. The details of this will be listed in the car’s manual, but the basics involve sticking to the recommended service intervals and checking and replacing fluids as necessary. But when it comes to turbos specifically, there’s not much to worry about, as Citroen’s parts and service UK technical operations manager, Ian Sedgwick, explains. Ricardo Martinez-Botas is professor of turbomachinery at Imperial College London’s Mechanical Engineering department, and a world authority on turbo technology. He says that while current technology means modern car drivers can just get in and drive, that changes if the car is modified from standard. “Engine management systems and current engine designs would take care of everything,” he says. “But if you modify a system it would be immediately altering the design intent and you’re liable to go outside the intended use of the device. If you modify, you really do have to be extremely cautious. If you are modifying your turbocharged car, it’s imperative to have the software and often the hardware upgraded accordingly by an expert. “If you do it without significant inside knowledge of the consequence, changes to the boosting system can be extremely damaging to your machine,” the professor says. “Your engine cylinders will be exposed to much higher pressures than they were before, and you blow the piston rings – for a start. If you make a change and have professional knowledge and check that your mapping is OK, then of course it will be fine. But that is a process that is difficult. Professor Martinez-Botas says that for older cars, which don’t benefit from modern electronic safety nets, the above advice is largely valid. Professor Ricardo Martinez-Botas gives his thoughts on the five common tips for turbocharged cars. These apply mainly to cars older than 10 years, and modified cars. 1: Warm your car up before driving – let the engine run and bring the oil up to temperature. 2: Don’t switch the engine off immediately – let it cool down. “In today’s engine the oil system will not switch off immediately, there will be some cooling going on. But if your car doesn’t have that run down cooling system then you do have to be careful. I would imagine most cars would, so I have some doubts. But it can’t hurt to do it." 3. Don’t lug the engine by travelling too slowly in a high gear, as it puts strain on components. 4. Don’t use a lower octane fuel than recommended, as this can cause knocking. 5. Don’t mash the throttle if you have a laggy turbo, especially when exiting a corner – you may get power when you don’t want it. These tips seem like common sense whether your car is old or new (though you don't need to let the car idle to warm up, just be gentle on the engine while you drive until it's warm) but unfortunately they're lost on most people. A friend asked me the other day while his Mercedes wouldn't start well, turns out he had no idea about glow plugs and was trying to start the car straight away. Push button start systems that automatically run the glow plugs now make a lot more sense. Why did nobody ask the obvious question about mileage expectations. It used to be thought that a simple petrol engine car with regular oil changes and good quality antifreeze would readily reach 200,000 miles without major work and 1990s diesels were similarly well regarded. Today its relatively rare to hear of such a mileage being attained - unless its a taxi, where regular maintenance is mandated by extra testing. "In today’s engine the oil system will not switch off immediately" unless it's got an electric oil pump how does the oil system not switch off immediately??? There are modern day Turbo cars blowing, and in some cases ingesting the turbo parts totalling the engine, on a regular basis....ask any independent service centre. Some current diesel turbo's from PSA rarely manage to get past 60k miles. At least with the old Turbo cars you just had the expense of changing the Turbo....not an entire engine! Day by day we have found some revolutionary changes in the automobile world, which includes electric or hybrid cars, driverless cars, turbocharger cars, and many others. It seems like the face of automobile world changing rapidly, but the only thing that never changes in these years is the repair and maintenance. We definitely need some professional help to look after our car, doesn't matter from what category it belongs to. I would like to take some quick lesson from here to take care of my turbocharger car. Thanks for highlighting such important parts. Just how much is this a problem for the smaller direct injection engines? There's a mobile ECU remapper near me who is all over farcebook showing the client's cars, vans and caravans he has 're mapped.' All these little stories abound with his comments 'x% more bhp, x% more torque' blah, blah, blah. Many of these vehicles are still supposedly within warranty or over 5 years old so probably not benefiting from the technology mentioned here. One can only wonder at the damage he and the owners are unwittingly committing to their vehicles. Its not forced induction if its taken willingly. I drove a Renault Captur 0.9 turbo hire car on holiday and it had severe turbo lag! In pokey Spanish villages it could be quite scary if you were too heavy with the right foot. I have an '83 Saab 900 Turbo -- my first new car. I've driven it 266,000 miles. It still has its ORIGINAL turbocharger. It runs beautifully, and uses no oil in the 2500 - 3000 miles between changes. Its always been driven hard, but warmed up gently, and I let it idle for 30 seconds to a minute before I shut it off. Wonderful car, and clearly durable.